AC units don't last forever. Over time, they slowly become less and less effective. Eventually, you may notice that it takes several minutes for the car to actually cool down—you might even reach your destination before the vents start blowing cold air if it does at all. This isn't normal. You shouldn't have to suffer inside your own car. 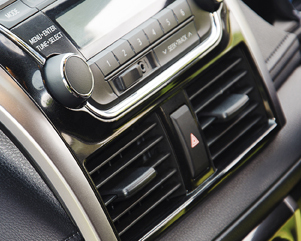 Depend on a trustworthy mechanic for quality car air conditioning service at a fair price. Count on Cartech Automotive & Transmission Repair when you need auto AC maintenance in San Antonio, TX. Our work is guaranteed, so you can expect your AC unit to work on full blast for a long time. We'll provide you with sound advice pertaining to your auto maintenance, so you'll be able to make smarter decisions that help you maximize the value of your vehicle. Don't let a busted heater leave you in the cold. Enjoy a warm and comfortable drive after seeing us for auto heating repair. Backed by more than 30 years of experience, we have the tools and expertise to accurately diagnose heater problems and resolve them the first time. We'll find you a cost-efficient solution that keeps you comfortable inside your own car. Your satisfaction is always our number-one priority. We work hard to finish your repairs quickly and efficiently. We strive to be honest and upfront, and to advise you of the best ways to get the most out of your vehicle. Expect quality workmanship at a great rate. Contact us to schedule an appointment for auto AC or heating service. We proudly serve San Antonio, Texas, and the surrounding area, including Helotes, Leon Valley, Pipe Creek, and Bandera.